Savannah State University (SSU) student Le Shawn Baynard has been chosen as a White House HBCU All-Star. Baynard is a junior accounting major from Atlanta, Ga.
Baynard learned of the opportunity from SSU’s former participants and immediately applied. Only 62 students from 450 HBCUs were chosen to attend the annual summit, a three-day leadership and networking conference in Washington, D.C., September 17-19, 2017. A White House review committee that considers personal leadership, involvement and academic achievement chooses participants. Baynard is active on campus as a community assistant in Wright Hall, a member of Collegiate 100 and a member of Kappa Alpha Psi Fraternity, Inc. 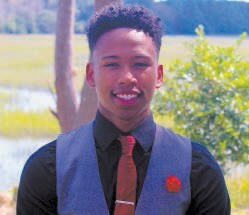 He is the fourth student from Savannah State to be selected for the White House initiative since the program’s first class joined the HBCU conference in 2014. During the academic year, Baynard and other HBCU All-Stars will serve as ambassadors to their communities by providing outreach opportunities and communicating with other students about the value of both education and the program as a networking opportunity. Using social media, relationships with community based organizations, and sessions with industry professionals, the students will share proven practices that support opportunities for all young people to achieve their educational and career potential. They will also participate in national and regional events and webinars with initiative staff and other professionals on a range of disciplines.